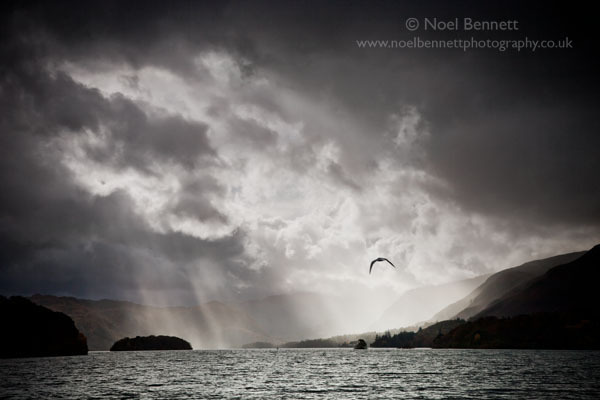 Last year I was lucky enough to capture the image 'Golden Light' from this spot on the north shore of Derwent Water. I wanted to take my wife, Christina, to show her the exact location. I couldn't believe my luck as we both witnessed an approaching storm. Maybe Chrissie was more concerned about getting wet, this didn't even enter my head.